Exploring and practicing "the best self and the common good." The Norton Center also actively supports and collaborates with Community Service, the Community Work Program, and the Alvord Center for Global & Environmental Studies. Eric joined the Loomis Chaffee community in 2012 as a history teacher and Associate Director of the Norton Center. From 2008 to 2012 he was a member of the faculty of Chapel Hill-Chauncy Hall School in Waltham, Mass. 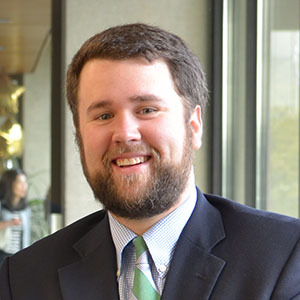 A native Floridian and an alumnus of Davidson College and Boston College, Eric’s teaching interests include the interdisciplinary study of social responsibility, American cultural and social history, research methods, race in America, and the American Civil War. Along with his work in the Norton Center, he currently teaches CL US History and two senior seminars in the History, Philosophy, Religious Studies, and Social Science department. He is also the faculty advisor for the Shultz Fellowship and a longtime baseball coach. Eric was honored by the LC Student Council as "Teacher of the Year" in 2014. Eric was interviewed by the Harvard University Graduate School of Education and featured in the article Fostering Student-led Civil Discourse at the Loomis Chaffee School. Outside of school, he enjoys reading, brewing fine coffee, following the Atlanta Braves, and hiking with his dog, Whitman, a Spinone Italiano. He lives on campus with his wife and three children. Molly joined the Loomis faculty in 1997. Having earned her bachelor’s degree from Yale University and her master’s degree at Teachers College – Columbia University, she has taught in both the History, Philosophy, Religious Studies, and Social Science and Music departments during her tenure. From 2010 through 2014, Molly served as Head of the History and Social Science Department. While on sabbatical during the 2014-15 academic year, Molly studied the history, economics, and politics of South Asia, traveling to India as part of Loomis Chaffee’s International Education Program. 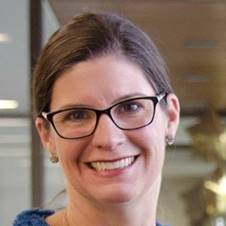 In addition to her work with the Norton Center, she teaches U.S. History and Global Human Rights, manages the Alvord Center’s Global and Environmental Studies certificate program, and works as an affiliate in Flagg Hall. Molly lives at the edge of campus with her husband, two daughters and their Siberian Husky. Outside of school, Molly enjoys reading historical fiction, running, hiking and swimming, and stargazing in Maine. In the interest of enabling students and faculty to freely engage in conversation about social issues or world events, the Norton Center periodically hosts evening Dialogues in the Common Good, open to the entire school community. Dialogue topics range from specific world or national events, such as the tragedy of Ferguson and its context, to the role of social media in augmenting or threatening our relationships and quality of life. Students often facilitate these rich and respectful conversations on topics that they have raised, practicing the art of the “town hall meeting” while they explore their own opinions, beliefs, and their world. The Norton Center is a gathering space for students interested in leading and realizing their own initiatives. The center has co-sponsored teams of students working on a diverse set of projects. Examples include: planning a Special Olympics event; conversations and curricula development around issues concerning sexual violence, divestment, and sustainability programs; and participation in events in support of Amnesty International and other humanitarian organizations. The Norton Center's relationship with the Student Council facilitates support for student-led projects. Each year brings many new opportunities and projects for consideration on and beyond the Loomis campus. The Norton Center has enjoyed the privilege of teaming up with numerous departments and constituencies around campus. Examples of collaboration include: planning of a community service “un-conference," student volunteer training sessions, partnership with the Agriculture program, participation on the Climate and Inclusion Committee, co-sponsorship of SEEDS professional development training, advising with the Senior Projects program, guidance of the Hubbard Speaker Series, and shared initiatives with the Alvord Center for Global & Environmental Studies. The relationship between the Island and the world has been compared to the relationship between the "best self" and the "common good." Therefore, the Norton Center and the Alvord Center for Global & Environmental Studies enjoy frequent and substantive opportunities for collaboration. These include programming for international travel experiences that allows students the time, space, and appetite for deeper reflection about their travels abroad. The Norton and Alvord Centers also collaborate to bring speakers and films to campus and encourage student discussions about their themes. On Sunday, March 31, members of the Loomis Chaffee community gathered with local community members in Windsor Town Hall for a vigil in remembrance of the victims of the March 15 attack on two mosques in Christchurch, New Zealand. Junior Anya Sastry is a leader in youth activism for environmental and social justice issues. She was recently appointed outreach director of the U.S. Youth Climate Strike organization — aimed at mobilizing young people to work against global warming and climate change. Hunger and homelessness were the focus of a community gathering and dinner on campus Tuesday, February 5, hosted by the Norton Family Center for the Common Good and Loomis Chaffee's Community Service Program. Norton Fellow Steele Citrone '20 channeled his concern for what he perceived as a lack of public information about organ donation's societal benefits into an outreach project aimed at teenage drivers. Affirmative action and the Harvard admissions trial were topics of an open discussion at a Dialogue in the Common Good hosted in the Norton Family Center for the Common Good on Tuesday, January 15.